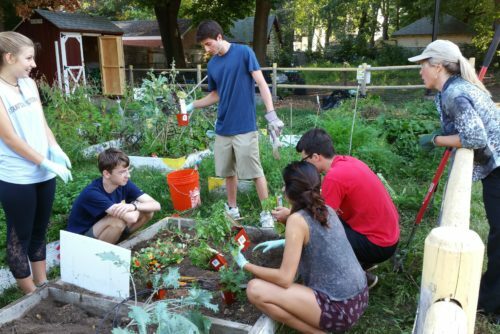 We’re a preeminent New England liberal arts college, but you’ll find us in an urban setting. We’re nearly 200 years old, but we provide an education that is both relevant and timeless. We were founded in the Episcopal tradition, but we’re rooted in principles of religious and academic freedom. At Trinity College, we believe in transcending boundaries. Defying standard definitions. Staying true to ourselves, and going our own way. We want you to do the same. This is where liberal arts meets the real world. If you want to become an engineer and minor in art, you can do that here. You can chase a career in politics and also cultivate a love of biology. It’s our mission to help you pursue whatever path you choose, and ensure that you gain real-world experience along the way. 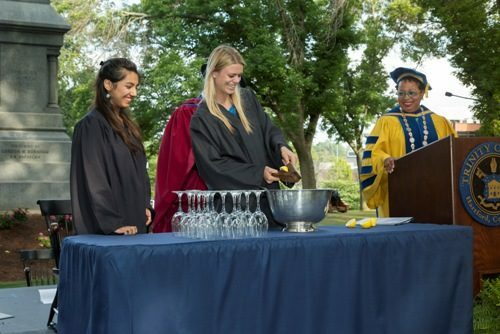 Through internships, research opportunities, community-based learning, study-away opportunities, and groundbreaking centers and programs, your academic pursuits will have a lasting impact—on you, and on the world. 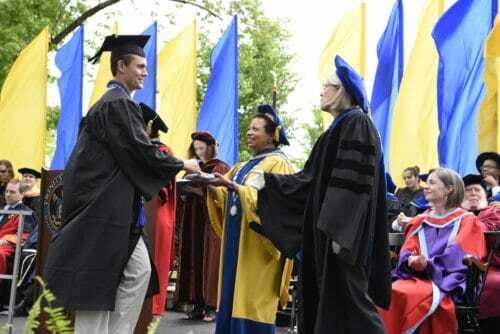 Trinity College prepares you to be a bold, independent thinker who leads a transformative life. We maintain our focus through a defined mission, a strategic plan, and a commitment to key initiatives. As Trinity evolves, we carry forward meaningful historic traditions and remain committed to our liberal arts foundation. 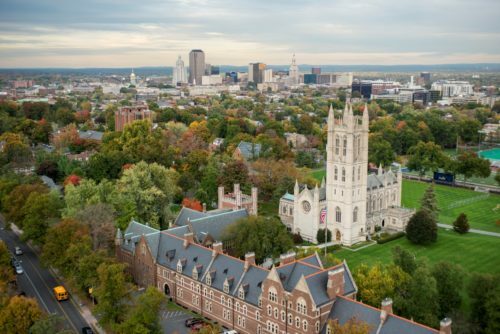 Throughout our history, Trinity’s steady hand of leadership has helped guide the college to its place as one of the nation’s most prominent liberal arts institutions. 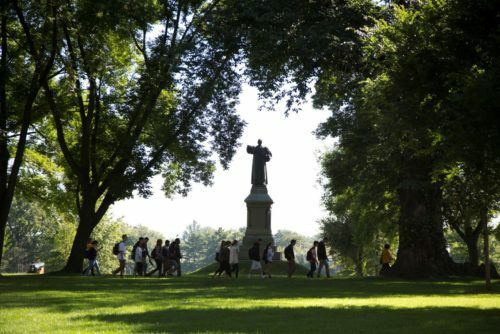 Accreditation and transparency hold us accountable, reflect our rigorous standards, and give students added confidence in their decision to choose Trinity. We are committed to enhancing environmental awareness, responsibility, and sustainability throughout the Trinity community. Hear from international students about why they chose Trinity. 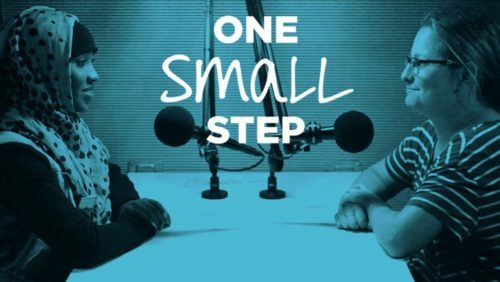 Community members of all backgrounds and beliefs participated in One Small Step, a national StoryCorps project that’s bringing together Americans with differing political views. 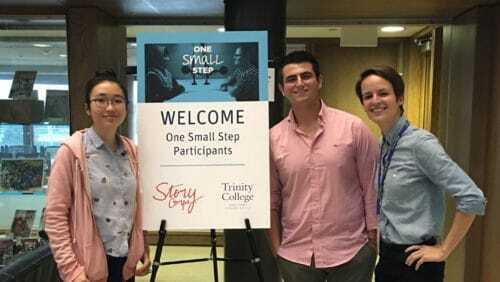 Trinity is the first college to partner with StoryCorps on this initiative aimed at listening and finding common ground.